Home/News/Be a Part of our 2019 Exhibition Programme! Are you an artist? Maker? Crafter? Photographer? 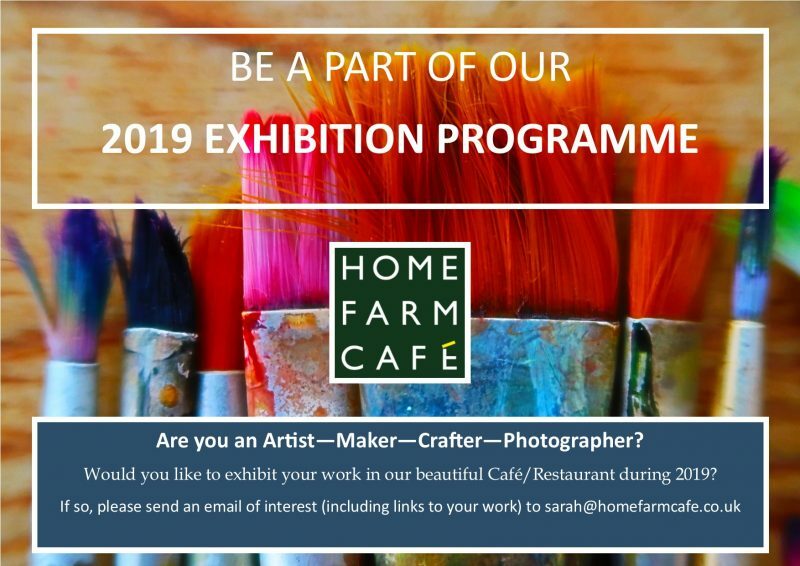 We’re looking to fill our 2019 Programme of Exhibitions here at Home Farm Café. Would you like to exhibit your work on our walls?